However, this is not the first time when Real Madrid have airbrushed their best player. Five-time Ballon d’Or winner Cristiano Ronaldo stunned the football fans, especially those of Los Blancos, when he completed a £100million transfer from La Liga giants Real Madrid to Italian champions Juventus last summer. 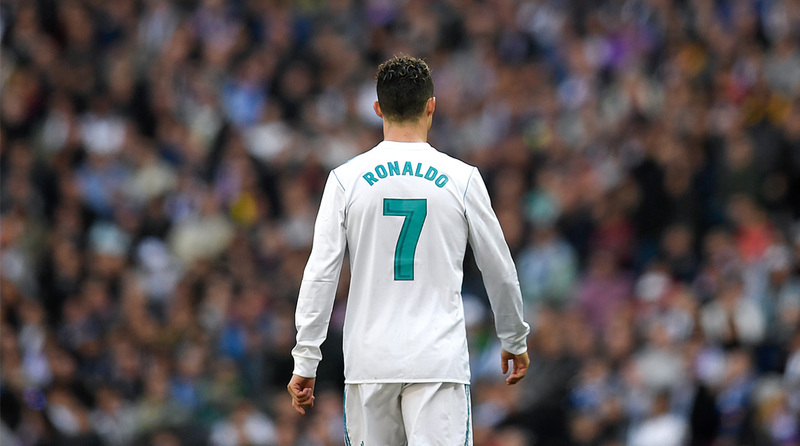 During his time with Real Madrid, Cristiano Ronaldo won four Ballon d’Or awards for best player in the world and guided the Spanish giants to four Champions League victories. Ronaldo also won La Liga and the Copa del Rey twice with Madrid. Ronaldo, who is also Real Madrid’s all-time highest goal-scorer, is one of the best players in their history. However, as per reports in mirror.co.uk, Real Madrid are set to erase the Portuguese striker from their history. So, how are Real Madrid airbrushing one of their best players? The club first stopped following Ronaldo on his social media (Instagram, Twitter, Facebook) — a gesture that was returned by Ronaldo. It is also noteworthy that Manchester United still follow their former number seven to this day. The Real Madrid social media also snubbed Ronaldo when they shared a picture showing off their players selected in UEFA’s team of 2018 on the club website. The image included Sergio Ramos, Raphael Varane, Luka Modric and Marcelo, but there was no Ronaldo. Though Ronaldo left Madrid, he was part of the club’s team that won their third consecutive Champions League title. In fact, Ronaldo was also Los Blancos’ standout individual in the tournament. The official website of Real Madrid has also airbrushed Ronaldo while celebrating the club’s recent successes. On the website, Modric, Ramos and Marcelo take centre stage in the pictures, while CR7 is featured in just one. As per reports in Daily Mail, Real Madrid is also minimising Ronaldo’s footage on their official TV channel. However, this is not the first time when Real Madrid have airbrushed their best player. Earlier, they had given the same treatment to Real Madrid legend Raul when he left them for Bundesliga outfit Schalke back in 2010.